As a fully licensed Onsite Evaluator, and Professional Soil Scientist he evaluates soil permeability and site conditions needed to match the design of sewage (septic) systems to the needs of the home builder. 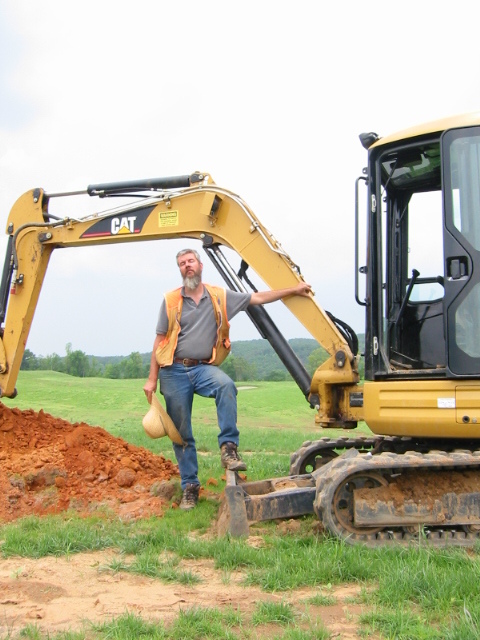 Blue Ridge Site & Soil, LLC is a Virginia licensed Class B contracting firm, staffed and qualified to produce bids and construct advanced or conventional septic systems. You’ll notice that a “bare application” fee is greater than a supported application, due to the AOSE taking responsibility for site evaluation and design, layout and documentation. VDH reviews this application and issues the permit w/in a strict timeline of 15 working days. 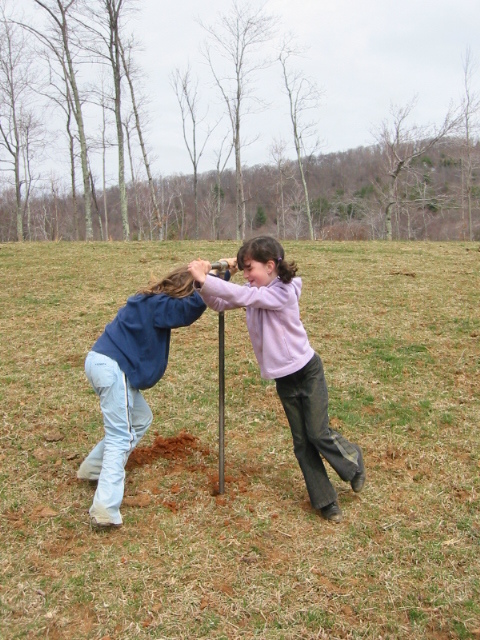 Fees are begin at $640 for evaluation & design services, with an additional flat $240 fee if we provide excavation equipment. Support for advanced treatment systems on sites which have restrictions under the Regulations, commercial systems, or travel outside Floyd County will be at additional cost. Final inspection is a flat rate of $150 at time of construction, and includes filing documentation to recommend issuance of an operating permit. These services are provided under contract in order to support construction of reliable and economical systems to serve homes or businesses. Design choices should be made after you are fully informed and ready to consider siting an onsite wastewater system with full support for your decisions. Your best outcome will be in scheduling an evaluation prior to any other disturbance to the site. I will assist you in locating significant features; and counsel with you on other issues regarding siting a home: driveway, utilities, water (spring or well), agricultural issues and so forth. Satisfying your concerns is my specialty. Or with diesel power, on a golf course; another facility approved. Being familiar with Floyd County and the surrounding area I understand the territory, and am experienced in consulting with landowners and builders. The process begins in defining your the attributes of your property, slope, terrain, landscape, vegetation or use all lead to a solution serving your goals. I will be pleased to discuss your options, offer suggestions and explain the ways I can help you achieve your site development goals. Begin the process give me a call and we can talk. Why is GIS & GPS capability so useful?